Your income, priorities and spending habits changes depending on your life stages. 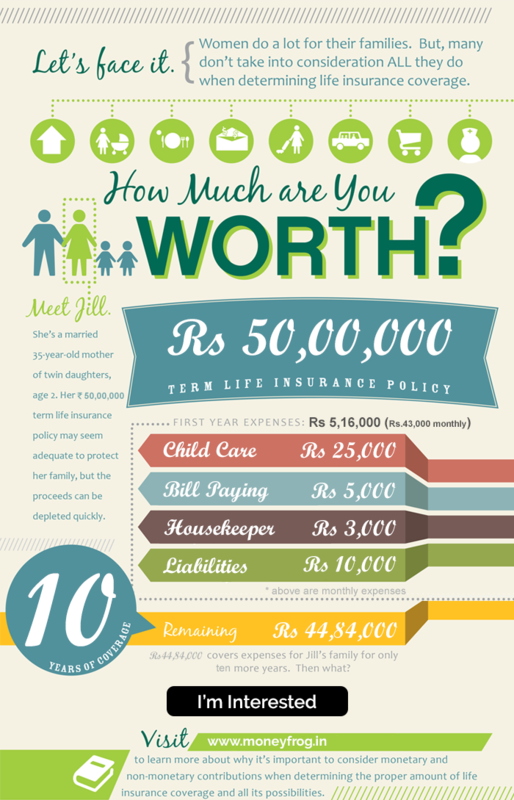 This infographic will guide you how to plan your finances for different life stages. Women, How Much Worth Are You? Some recent schemes launched by the government may not be of much relevance to you but for a minuscule amount, you can ensure a comfortable financial future of those who make your life easier. Many dream, most have ambitions but everyone has a goal. Did you know that you could leverage your property to finance your goal? When a bank sanctions a loan in your name, it needs an assurance that you will pay it back. However the bank uses your property or any of your assets as collateral for the loan disbursed. Unfortunately, in future if you aren’t able to repay the loan, the bank will take the legal possession of your asset and will ultimately auction it out. There are 5 ways you can leverage your property to meet your goals. Retirement Planning- How aware are you? While people are realising the need to save for sunset years, they are still investing in fixed income plans, says the recent RMF-IMRB retirement survey. Here are some other findings.